What Are the Best Tips for Making Homemade Baked Beans? 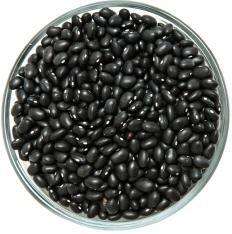 Many types of beans, including black beans, can be used for making baked beans. 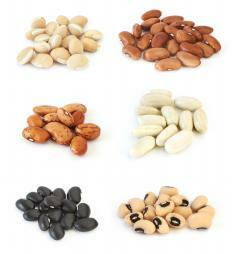 Many different types of beans can be used to make baked beans. Homemade baked beans can be a fantastic addition to everything from potlucks to a simple family meal. Some of the best tips for making them include using the long soaking process for the beans rather than quickly boiling them, and taking every opportunity to add flavor to the dish. Don’t try to rush the process: when it comes to homemade baked beans, low heat and a long cooking process are key to a delicious finished dish. While the beans are baking, make sure that you check on them occasionally to ensure that there is plenty of liquid and to give them a quick stir. There are two ways to soak dry beans: a quick-boil and the traditional soak overnight. One of the best tips for making homemade baked beans is to choose the longer soaking method. 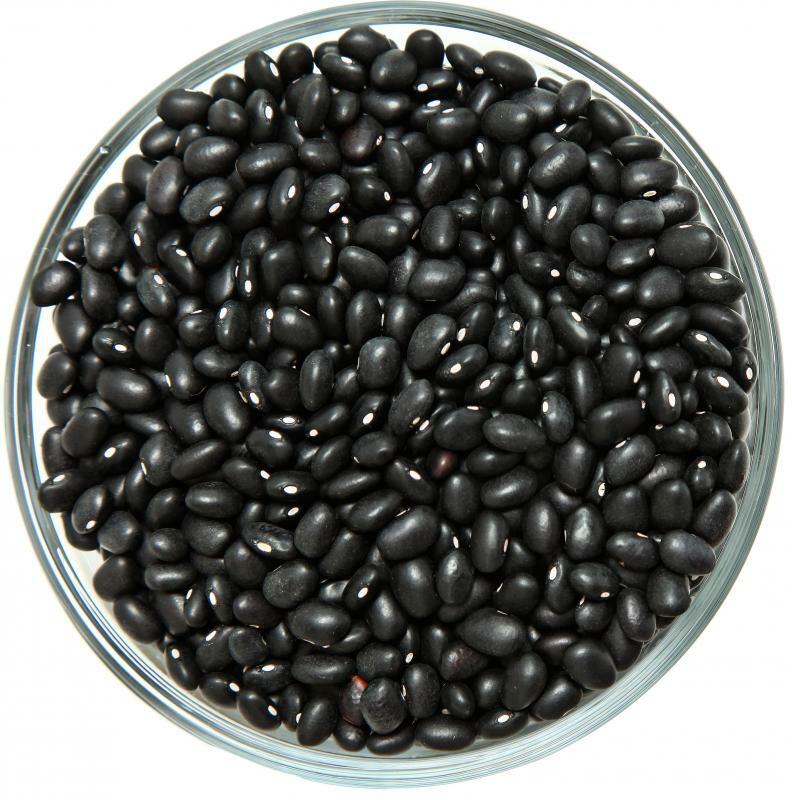 It will not only save you time on the day that you cook the beans, but it is also most efficient at softening the legumes so they can absorb all of the flavors that you will be adding to your homemade baked beans. Beans are often considered to be a blank slate when it comes to flavor, as you can make the same type of beans taste a million different ways with the right ingredients. Due to their relative lack of a distinct taste, it is important that you take every opportunity to flavor the beans while you are cooking them. Simple switches, like using chicken broth instead of water, or using the bacon grease to saute the onions rather than oil, can make the difference between a good dish and an amazing one. The low and slow cooking process is where homemade baked beans get their rich, deep flavor. Trying to rush the process will typically result in undercooked beans covered in sauce, rather than robustly seasoned, tender beans. Generally, you should plan on the dish cooking for at least four hours in the oven, or more depending on what type of bean you are using and the size of the batch. While it may be tempting to turn the heat up, keep it at a very low roast; generally, 275°F to 300°F (135°C to 149°C) is best. Outside of the preparation stage, homemade baked beans will typically cook themselves; however, you should still check on them occasionally. Try to stir the beans every 45 minutes to an hour after you put them in the oven, and, once you uncover them for the end of the cooking process, check every 15 to 20 minutes to make sure that they have enough liquid. The beans will not get tender if they do not have enough moisture. How Do I Improve Baked Beans from a Can? What Is a Bean Burrito? What Is a Bean Casserole? What Are Vegan Baked Beans? What are Boston Baked Beans?